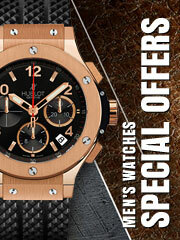 This watch features a brilliant combination of rose gold and brown. 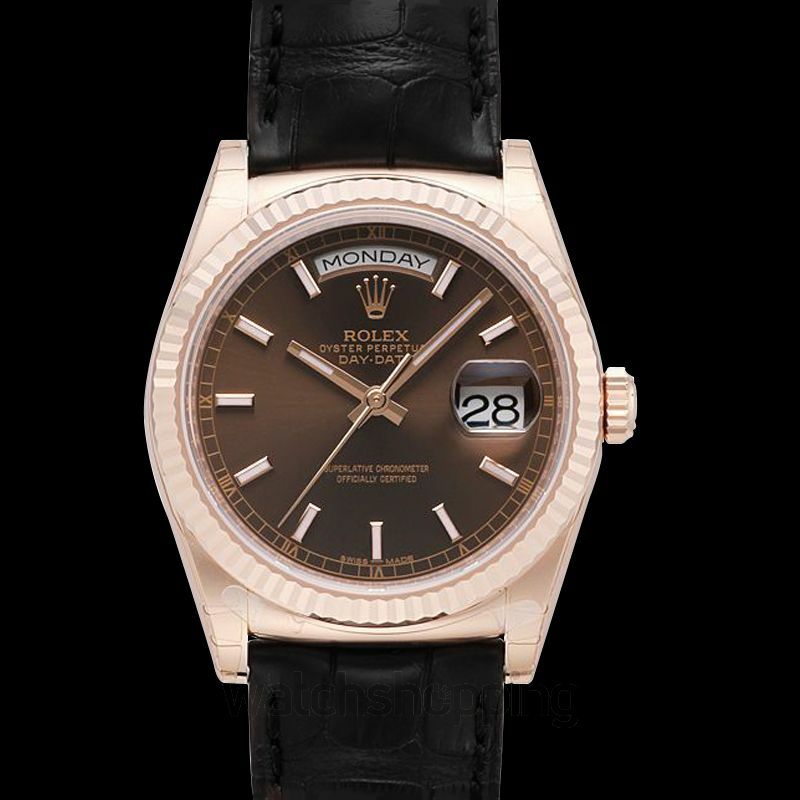 The case of the watch is 36mm and is made from rose gold. 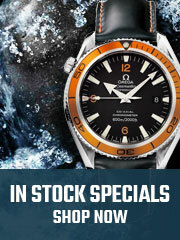 Encased in that is a beautiful chocolate brown dial with a sunburst finish. 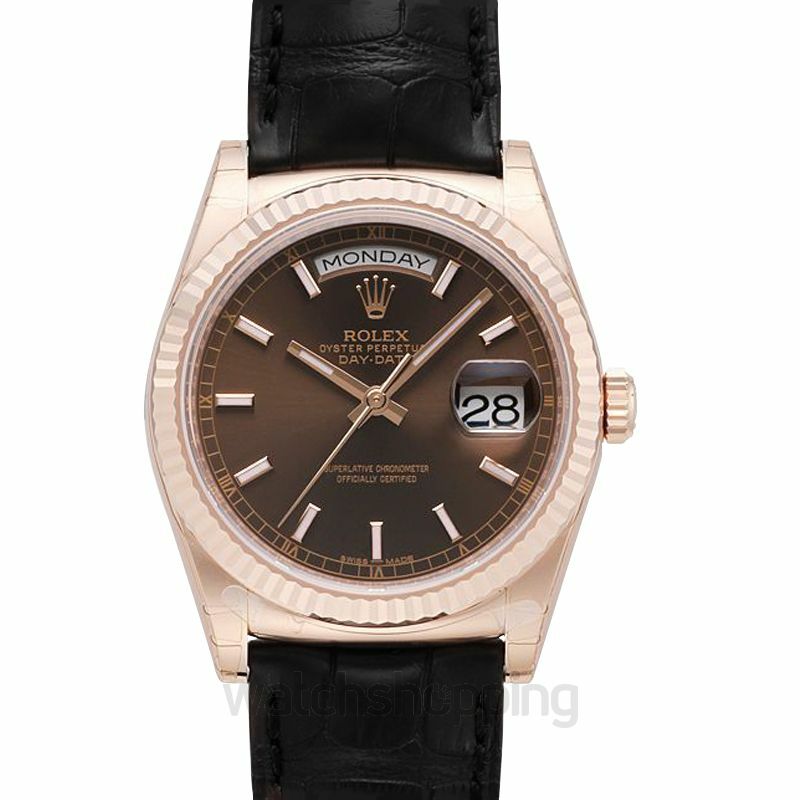 The dial has rose gold-toned hands and index markers set in it, and the outer rim of the dial displays the minute markers. The watch also features a darker chocolate brown strap that works amazingly with the theme.